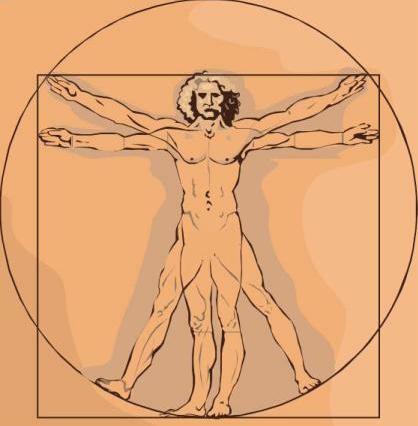 Physical Description: Humans are bipedal creatures with a torso, head, two arm and two leg appendages. 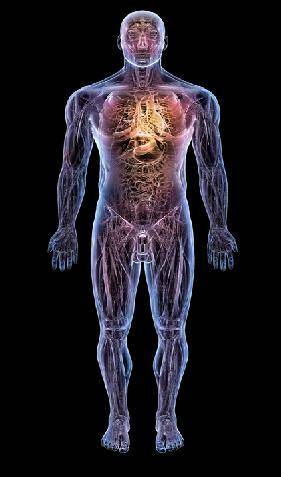 They have five major sense organs, in which four are located on the head. They have two eyes, two ears, one nose, one mouth (all located on the head) and a large set of nervous tissue throughout the skin. They are descendents of an early earth animal called the Primate. 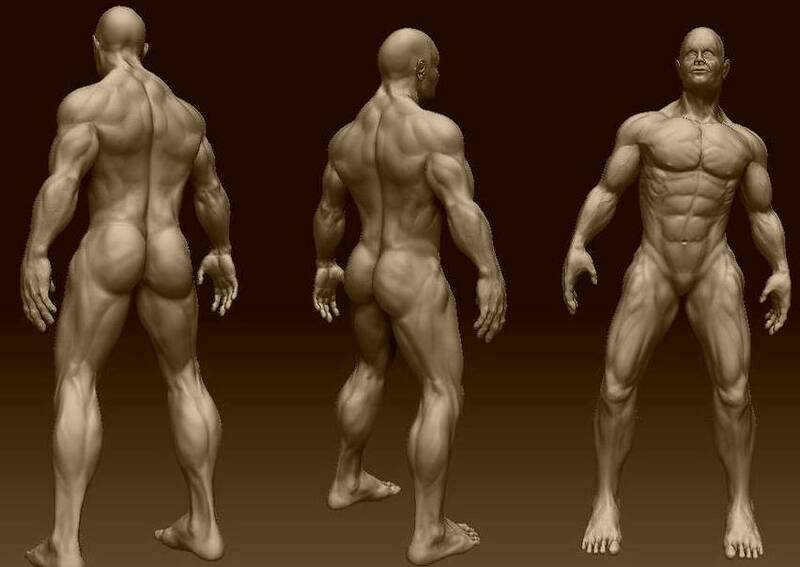 Human body types vary substantially. Although body size is largely determined by genes, it is also significantly influenced by environmental factors such as diet and exercise. The average height of an adult human is about 1.5 to 1.8 m (5 to 6 feet) tall, although this varies significantly from place to place and depending on ethnic origin. The average mass of an adult human is 54–64 kg (120–140 lbs) for females and 76–83 kg (168–183 lbs) for males. Weight can also vary greatly (e.g. obesity). Although humans appear hairless compared to other primate ancestors (w/ notable hair growth occurring chiefly on the top of the head, underarms and pubic area) the average human has more hair follicleson his or her body than the average chimpanzee. The main distinction is that human hairs are shorter, finer, and less heavily pigmented than the average primate, thus making them harder to see. The hue of human skin range from dark brown to pale pink, or even nearly white or colorless, such as in cases of Albinism. Human hair ranges from white to brown to red to most commonly black. The fading with increased age leads to grey or even white hair. Humans have proportionately shorter palates and much smaller teeth than other primates. They are the only primates to have short, relatively flush canine teeth. Humans are omnivores (eating both meat and vegetation). They live for an average of 100 years, reaching sexual maturity at 12 to 15 years of age. Females continue to develop physically until age 18 while males develop until age 21. They reach their physical climax from age 18 to 35 before beginning to slowly fade in strength and stamina. A Human is considered elderly (and incapable of certain physical actives) when they reach their 60’s. They can live in humid or cold environments provided they have appropriate shelter. Their adequate lifespan, fast birth rate and tolerance to harsh conditions allow humans to flourish within galactic society. Culture: Humans are highly social beings and tend to live in large complex social groups. More than any other creature, humans are adept at utilizing systems of communication for self-expression, the exchange of ideas, and organization, and as such have created complex social structures composed of many cooperating and competing groups. Human groups range from families to galactic organizations. Social interactions between humans have established an extremely wide variety of values, social norms, and rituals, which together form the basis ofhuman society. All human societies organize, recognize and classify types of social relationships based on relations between parents and children (consanguinity), and relations through marriage (affinity). These kinds of relations are generally called kinship relations. In most societies kinship places mutual responsibilities and expectations of solidarity on the individuals that are so related, and those who recognize each other as kinsmen come to form networks through which other social institutions can be regulated. Among the many functions of kinship is the ability to form descent groups, groups of people sharing a common line of descent, which can function as political units. In many societies kinship relations can also be formed through forms of co-habitation, adoption, fostering, or companionship, which also tends to create relations of enduring solidarity.